From Oct 6 through Oct 16 – First time ever sale on Shape-A-Dart! Reg. $9.95 – for 10 days only $4.95. No promo code needed – price is marked. Why use Shape-A-Dart? Misses size patterns are made with a standard “B” cup and half sizes are made with a standard “C” cup. 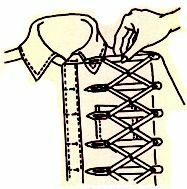 If you wear a Misses size pattern and wear an “A”, “C” or “D” cup bra, your bodice will be baggy (A cup) or tight with wrinkles (C or D cup). The same thing applies to half sizes that wear an “A”, “B” or “D” cup bra. Shape-A-Dart has PRE-MEASURED dart widths to correct darts on all commercial patterns, beginning with size 6 and going through 24 1/2, and includes sizes 38 to 46. Simply find your pattern size and PERSONAL bra cup size on the Shape-A-Dart and make the correction. Every pattern will give you “a fit that flatters”! 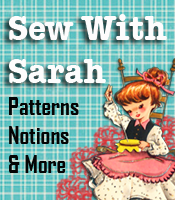 Exclusively from Sarah’s Sewing Supplies.